Day after day, the screen with the higher resolution appear on multiple devices, and certainly the most important, is television, smartphones and tablets. At the CES 2013 event, one of the things that are talked screen display with 4K. So, what is 4K? 4K is a summary of the "4000", which marked the 4,000-pixel width. On this day, one of the terms that is popular among users is 1080p, marking the screen with a resolution of 1920 × 1080 pixels. However, with more and more who want better quality, then display and resolution produced even more appealing than ever-before. For 4K, there are several sizes used at present, which is close to the size of 4000 × 2000 pixels. To facilitate manufacturers produce devices with a simple standard, in 2012, the Consumer Electronics Association introduced the term Ultra High Definition, in which at least brings the display with 3840 × 2160 pixel resolution. 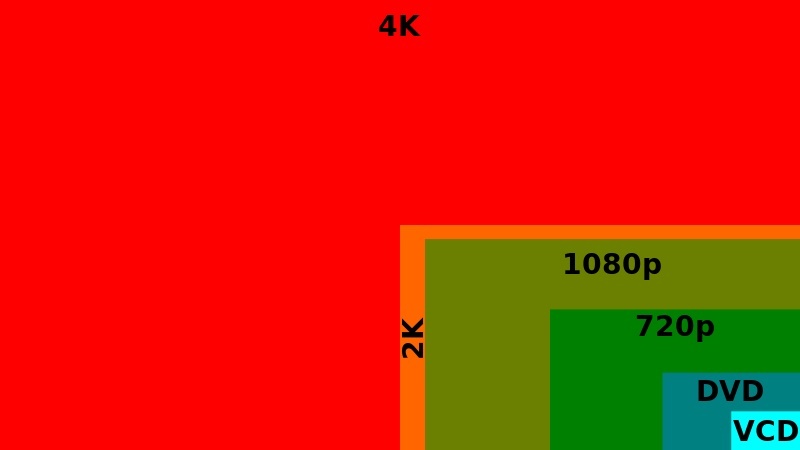 Although several television was introduced 4K displays at CES 2013, but one of the problems at present are based 4K content is still lacking in the market. The camera also supports to record still limited, and not widely used by all. Own on YouTube and Vimeo, there are only a few videos just to display 4K, and probably soon, with a display resolution of video figures will increase drastically. Yet even talked 4K today, maybe it will take a year or two before really popular, not to mention, a television with 4K displays are still being sold with a very expensive price. Watch some 4K video on YouTube. How to backup data of applications in Windows 8 ? Apple iPad 5 and iPad 2 Mini to debut in March ? Will Facebook Phone might announce this week?